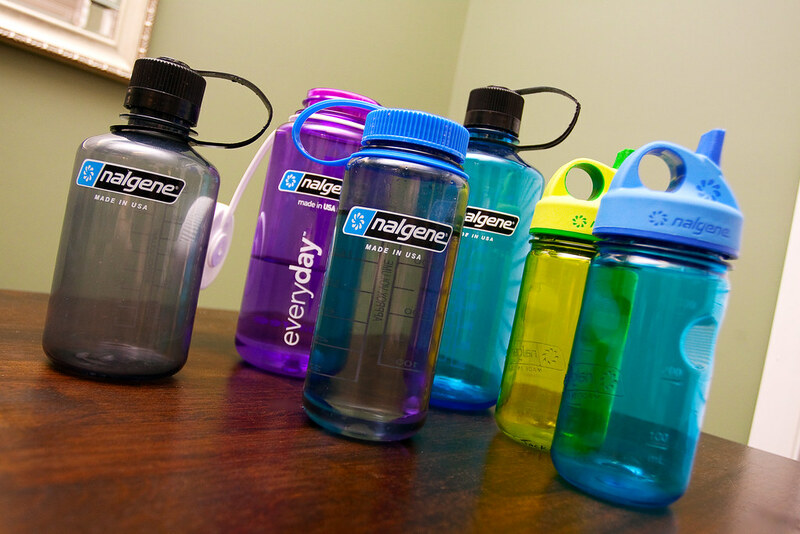 We are a Nalgene family. And yes, I realize there are more bottles here than family members. Um, two belong to me, and Jackson made the leap from sippy to water bottle this week because I kept catching him drinking from mine. The novelty quickly wore off. It turns out its not nearly so cool when you finally get your own. yes! I LOVE my nalgene. Now I'm wanting one. What IS a nalgene?